90% of sales occur after you’ve had four contacts or more with a prospect, yet 85% of salespeople NEVER reach that fourth touch? Over 50% of businesses don’t have a sales process in place? 79% of companies with a financial plan are better off than they were a year ago, but less than 50% of organizations forecast their numbers? 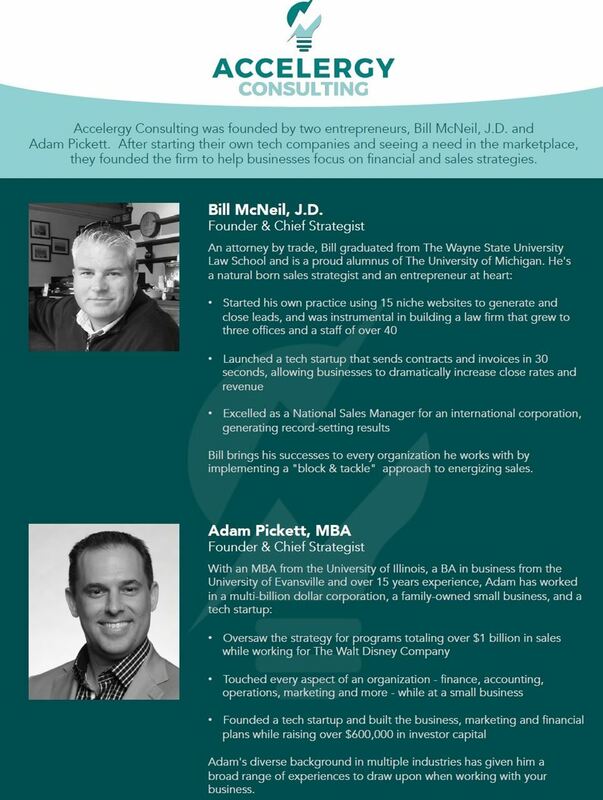 Brought to you by PPAF, Accelergy Consulting will present their “30 Day Sales Rescue” where you will learn some basic tools and tips to maximizing your potential through sales processes and financial strategies.